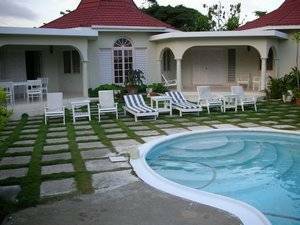 Whistling Villa is a very affordable private villa ideally located 20 minutes from Ocho Rios and Dunns River Falls. 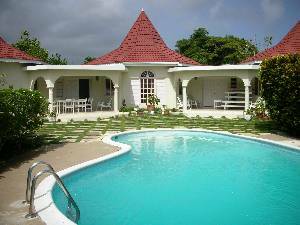 Swim at leisure in your own private freshwater pool, or relax in the sunshine in the pool area.Free access to public beach, and to a shared private beach for villa guests is just minutes away. 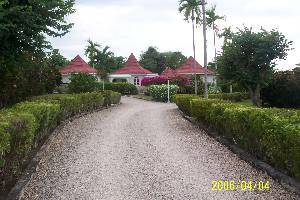 The villa is also only steps away from Runaway Bay's 18-hole, PGA-quality golf course. 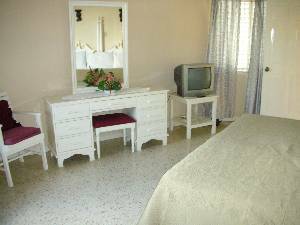 There are four large air-conditioned bedrooms, each with its own bathroom, walk in closet, and cable tv. children are always welcome, and babysitting can be arranged. The staff will prepare scrumptious meals for you, served on the terrace, pool area, or in the formal dining room. 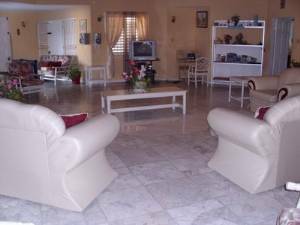 There are fantastic local places to eat and nearby hotels such as Breezes,Sandals,FDR,Hedonism, Gran Bahia- where you can purchase a day or evening pass. We can make arrangements to have a personal driver with car/van to customize your own tours. January 28, 2011 Reviewer: Charlotte L.
We are well and looking forward to the holidays. We talk and think about you all regularly. We had such a lovely trip. We do hope to stay at the villa again. We enjoy our stay at your villa very much. Joyce, Evelyn, Ron and George made our vacation perfect. 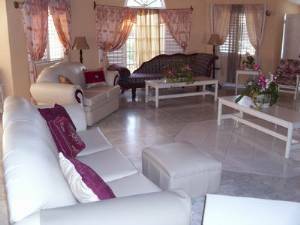 I would definitely recommend villa to others. January 28, 2011 Reviewer: Mario D.
Everything was great! We had a wonderful time. The staff was great and the food was excellent!! Everything was better than expected. I will definitely recommend your place to anyone planning a trip to Jamaica. Thank you very much for everything. If we ever go back to Jamaica we will let you know. You have a great place there! We had a blast hopefully we can make this a yearly event! Thanks for all your help the staff was great! Excellent food great hospitality! Thanx again! Thank you for your email. We did enjoy our stay at Whistling Villa and Evelyn and Ron went out of their way to make everything comfortable for us. We have not made final plans for next year as yet, but a few weeks at Whistling would be great. We will be in touch when we have finalized our plans. 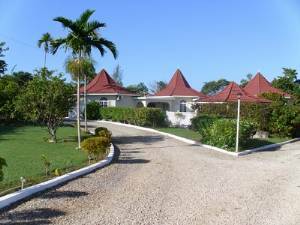 We had a marvelous holiday in Jamaica and an enjoyable stay at Whistling Villa. The villa was a great size and really comfortable. I would like to reiterate that we really did enjoy our vacation and stay and we would certainly recommend Whistling Villa to others. Me and my family had a wonderful stay at Whistling villa. 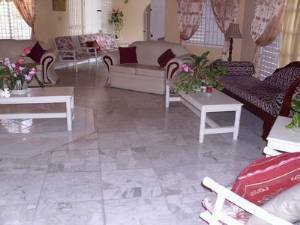 The villa is spacious and nicely laid out with a nice pool. The staff was simply wonderful and the cooking was superb. We had mostly Jamaican cuisine which all my family love. Shirley was very helpful and the arrangement to get supplies from the supermarket that she works at was convenient. I would be happy to recommend it to my friends and associates.